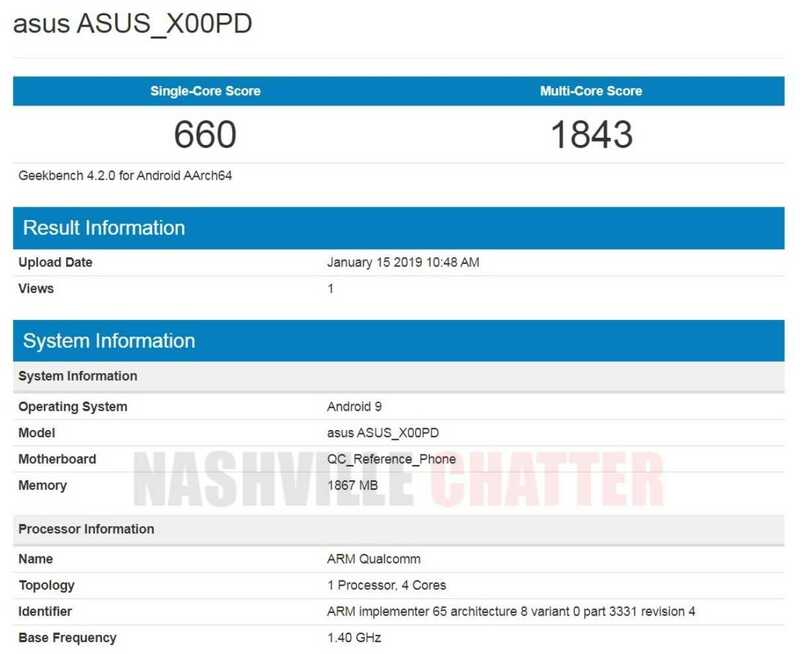 Asus ZenFones are appearing on the benchmarking platform one after another and the latest one to be sighted on Geekbanch is the Asus Zenfone Max M1 (ASUS_X00PD). This device which was released to the market towards the middle of 2018, must really be considered at the lower end of the budget phones or even as an entry-level one, retailing below $200. As evidenced on the Geekbench site, the phone has a 4 core Qualcomm Snapdragon 425 processor and 2 GB RAM. There is a 3 GB variant as well. Asus has gone about this task of upgrading its latest models to the Android Pie version 9.0 in a methodical fashion. A list has been put out on the models chosen for the upgrade in the first quarter of 2019. And for good measure, there is another list showing the phones that are not being considered for the update to the latest OS as well. The process is on, and as reported here earlier, the Asus ZenFone Max Pro M2 and the Asus ZenFone Max M2 have already been sighted on Geekbench with the Android Pie OS meaning the users of these phones must be getting the OTA updates on their devices soon. The Asus ZenFone Max M1, also known by the model number ZB555KL, comes with a 5.5 inch IPS LCD display. As indicated above the Qualcomm Snapdragon 425 SoC processor is backed by 2GB/3GB RAM and 16GB/32GB onboard storage. Of course, the phone has a microSD card slot for increasing the storage by up to 256 GB as well. The main rear camera has a dual sensor setup with a 13 MP and an 8 MP sensor in combination. An 8 MP camera adorns the front for taking selfies. The rear panel also houses the fingerprint sensor. Asus believes in packing its devices with large batteries and this Asus ZenFone Max M1 has a 4000 mAh battery under the hood. The rest of the specifications follow the norm. Await the update to the Android Pie if you are an owner of the Asus Zenfone Max M1.